He says that the Mountaineers are getting satisfied after climbing Mount Everest and not taking up the challenge of scaling other deadly eight-thousanders. 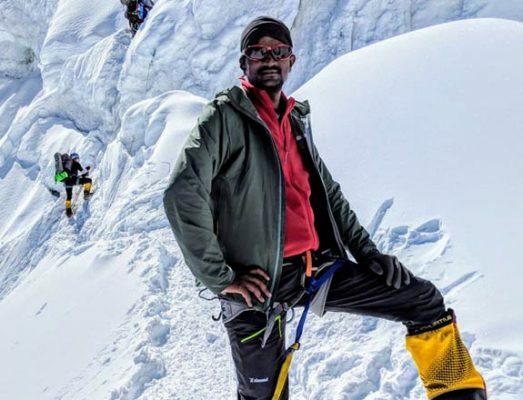 Hyderabad: A city-based mountaineer Thammineni Bharath is all set to become the first person from south India to scale Mount Lhotse which is the fourth highest mountain in the world and one of the toughest ‘dead zone peaks’ to climb. He is leaving for the expedition to climb the 8,516-meter peak present on Tibet-Nepal border on April 17 along with his student Suresh Babu. 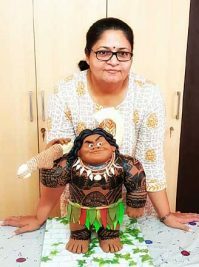 He adds that there are 14 eight-thousanders in the world and Mount Everest is easy among them as the path became smooth due to continuous movement along the route by the Mountaineers. The 29-year-old took up professional mountaineering around seven years back and in 2017 he started Boots and Crampons academy to train trekking enthusiasts. He trained thousands of students so far which includes eight-year-old Samanyu Pothuraju who is the youngest from south India to trek Mount Everest base camp and various other peaks in the world. He says that the Mountaineers are getting satisfied after climbing Mount Everest and not taking up the challenge of scaling other deadly eight-thousanders. “I want to change the frequently taken expedition routes and make mountaineers take challenging routes,” Bharath adds. Bharath climbed Mount Everest twice and Mount Manaslu which is one of the dangerous peaks to climb. He is also planning to climb Mount Cho Oyu present on China-Nepal border and Mount Shishapangma in Tibet in this September.